“I’m not sure what the definition of bluegrass would be in words alone, but if that definition was set to music, it would probably sound something like Town Mountain’s new Pinecastle Records release, Leave the Bottle… I could go on. There are no duds, and no filler songs on this project, which was produced by Mike Bub. But you get the point. 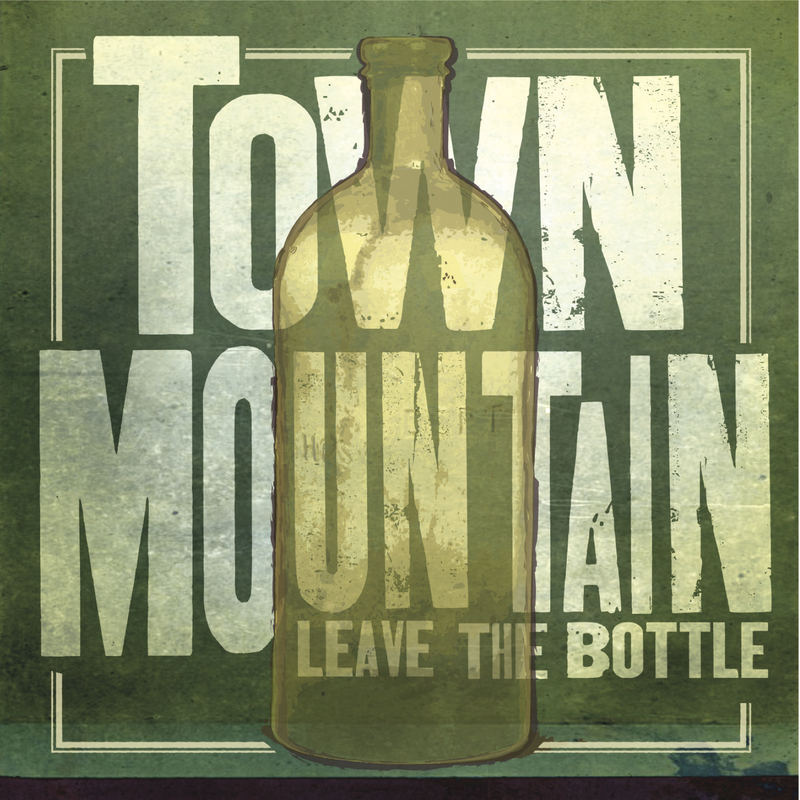 Asheville, NC’s Bluegrass Band Town Mountain is touring the country around their fourth album, Leave the Bottle [Released September 4, 2012]. Town Mountain is Phil Barker on mandolin & vocals, Robert Greer on lead vocals & guitar, Jesse Langlais on banjo & vocals, Bobby Britt on fiddle, and Jon Stickley on bass, guitar & vocals. One listen to their instantly memorable songs, and it’s plain to see why Grammy-winner Mike Bub would align with the group to produce Leave the Bottle as well as 2011’s Steady Operator, both through Pinecastle Records. Banjo player extraordinaire and longtime member of the Sam Bush Band, Scott Vestal, also joined the team by engineering the new album, which was recorded at Digital Underground Studio in Nashville, TN. Town Mountain will be LIVE on WDVX’s Tennessee Shines at 7pm EST on Monday, September 24th. 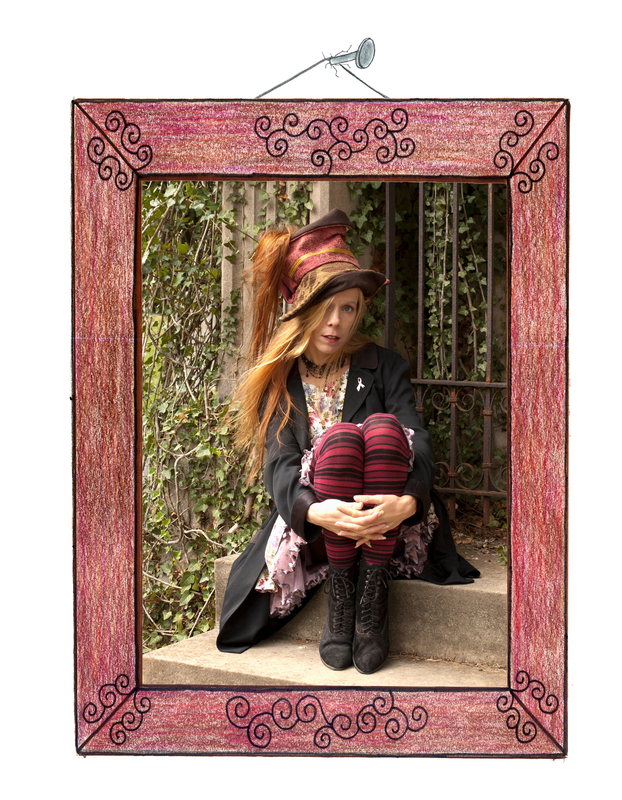 In support of her upcoming children’s book Roasting Questions, local favorite Barbie Dockstader Angell will perform two sets with David Earl (of David Earl and the Plowshares) at downtown Asheville’s Altamont Theatre at 6 p.m. and 7 p.m. on Sunday, September 30. The 6 p.m. set is to feature Angell’s children’s poetry and David Earl’s family-friendly, high energy folk style, and the 7 p.m. show will include Angell’s distinctive bar poetry, mixed with some of her more serious work and David Earl will rock out a little harder with some punky swamp gospel. Barbie Angell is not just a prominent poet, but also a gifted illustrator. Her book, Roasting Questions, features original illustrations as well as child-friendly poems for all ages. “My goal has always been to reach people who don’t know they like poetry, and convince them that they do,” Angell says. “In her poetry Angell opens up her soul for all to see. She discusses her shortcomings, her views on life, lessons learned and a host of other topics. You can definitely read strength in what she is saying and like all good writers she speaks not only for herself but of life in general and of the status quo. Roasting Questions is published through Grateful Steps Publishing, a nonprofit publishing house based in Asheville. The book can be pre-ordered on and after September 30th at www.RoastingQuestions.com, and will be released officially around Thanksgiving 2012. A portion of the proceeds from the book will be donated to Mooseheart Child City, where Angell lived for four years. For more information about Barbie Angell, Roasting Questions, Grateful Steps Publishing or the September 30th event, visit www.barbieangell.com, facebook.com/barbieangell or follow @barbieangell on Twitter. 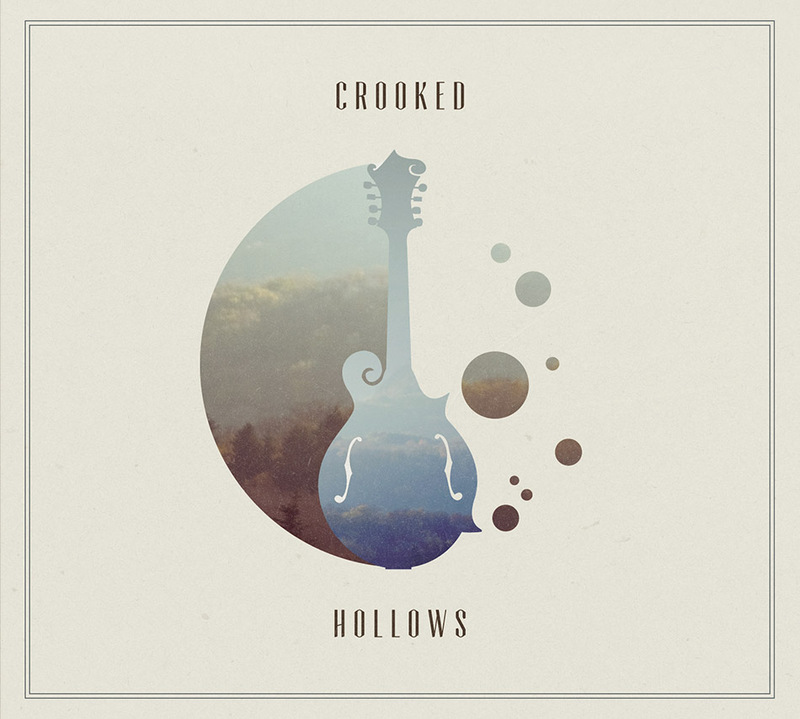 A veteran of the Asheville music scene, Ty Gilpin steps out with a solo project that aims to capture the essence of the Asheville Roots music world with his new release Crooked Hollows. 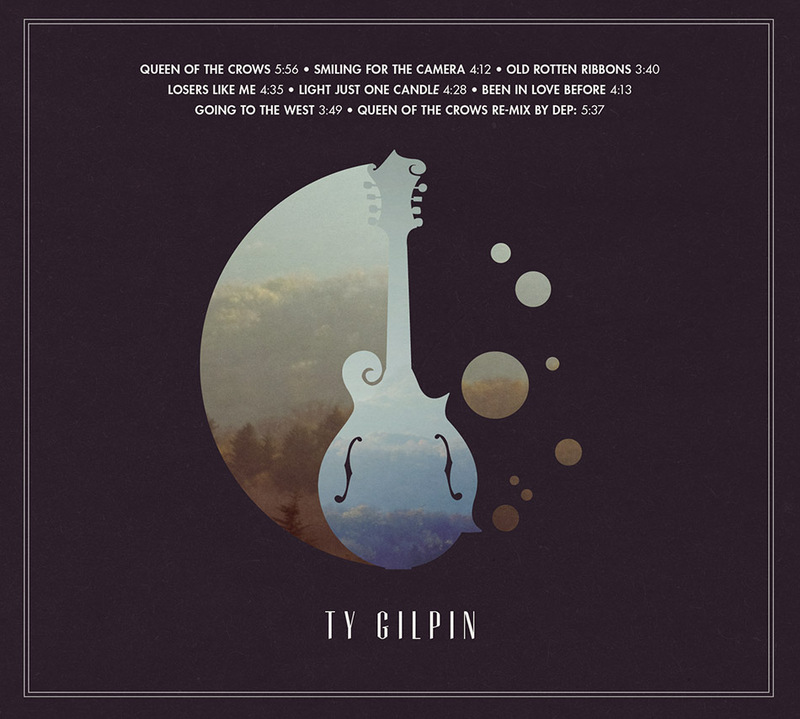 Gilpin is no stranger to any aspect of the music business. He is a performer, songwriter, vocalist and player with multiple groups and has worked for over a decade on his own and with Crossroads/Mountain Home Music doing marketing and promotion for some of the biggest names in Bluegrass. Now he has recorded his own songs with a select group of talented peers. Don’t get it wrong, this is not a Bluegrass album, although there are cuts that lend itself to the genre. Gilpin’s release Crooked Hollows is an eclectic mix of Americana, Folk-Rock, Irish and even includes an electronic remix. All the tracks feature names that are not just a staple of the local music scene but rather a Who’s Who of folks that are known both in North Carolina as well as nationally. The lead off track “Queen of the Crows” includes Cody Kilby, guitarist from Ricky Skaggs and Kentucky Thunder, noted banjo picker Steve Sutton and female folk troubadour Jen Duke who joins Gilpin on vocals. The dynamic selection of songs moves to country themes including “Smiling for the Camera” featuring the vocals of Darren Nicholson of Balsam Range and the song “Losers Like Me” with Town Mountain vocalist Robert Greer. Other contributions come from the vocals of Amanda Platt of the celebrated Asheville group, The Honeycutters, as well as from Buddy Melton of Balsam Range, Lance Mills, Sav Sankaran and singer-songwriter Taylor Martin. Keeping to the diversity of the music, there is an Irish element on the track “Going to the West”, sung by Duke and concludes with an even further musical departure featuring a re-mix of “Queen of the Crows” by Danny Peck (aka dep) who blends acoustic and electronic elements for a hauntingly beautiful finale. The line-up also includes, Charles Humphrey III of the Steep Canyon Rangers, Josh Haddix of the Greasy Beans, Rick Cooper, Jessica Smith, multi-instrumentalists Matt Smith, Duncan Wickel and Tim Gardner as well a studio drummer extraordinaire Tony Creasman. All tracks were written and arranged by Gilpin and produced by Gilpin and Tim Gardner. Tracks 2-7 were recorded at Coyote Ridge Studios in Asheville with the lead off track recorded at Omni-Artists Studios in Weaverville by Eric Willson. The album was mixed and mastered by Van Atkins at Crossroads Studios in Arden, NC. The official street date for Ty Gilpin’s Crooked Hollows is September 18th. The album is available at CD Baby and iTunes. Visit www.tygilpin.com for information on the release and links to buy. this Saturday night, the 15th at 10pm. He will also be live on WNCW at 4pm on Friday, Sept 14th. Based in the Asheville, NC area, storyteller and musician Aaron Burdett is set to release his 4th album, Breathing Underwater on September 11th, 2012. Building on the traditions of the finest performing songwriters such as John Hiatt, James Taylor, Cat Stevens, and John Prine; Aaron’s music blends folk-rock, bluegrass, and blues with pop sensibilities. His honest songwriting pours in between hammer-on chord changes and rolling crosspicking rhythms, all the while keeping at the forefront his own unique sound and authentic voice. Optimistically themed, Breathing Underwater reflects Aaron’s life experience and the changing perceptions and priorities that come with the passage of time, working towards goals, and finding the peace of mind to allow life to unfold naturally. It features 11 tracks, all penned by Burdett, including the slow, bluesy electric title track. It’s a tonally diverse album, from the upbeat and newgrassy “Copper on the Corner” and “Sneaking up” to the more relaxed pace of “The Simplest Things”, a piece about stepping back from day to day distractions and concerns to remember the more important things we are blessed with. There is a musical release in “3 or 4 minutes”, a song about being taken away on a journey by an artist, and then realizing that it’s only a 3 or 4 minute song even though you feel like you’ve been gone and zoned into the music forever. He’s got some excellent players on the album including Will Jernigan on bass, Billy Seawell drums, Andy Pond and Brian Paul Swenk on banjo, Casey Driessen on fiddle, with Aaron on all the geetars…. 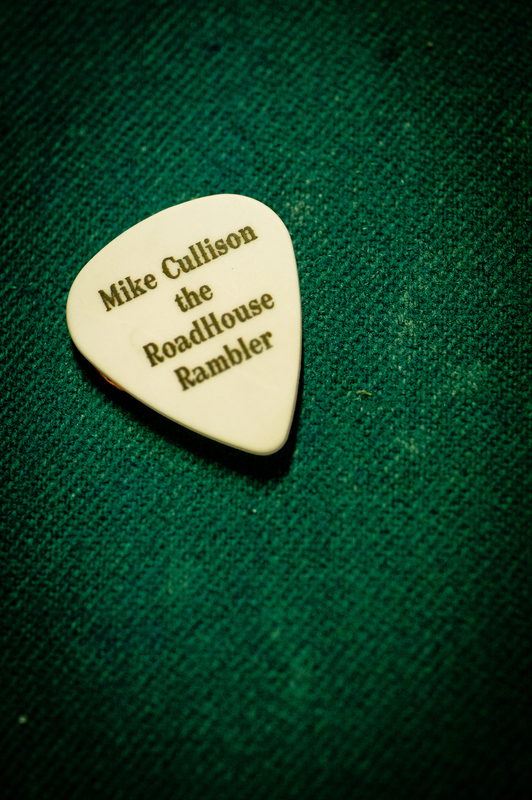 Singer-songwriter Mike Cullison (aka “The Roadhouse Rambler”) is used to hearing his work defined in painterly terms; music journalists commonly pull out such metaphors when trying to describe songs. But with his new album, The Barstool Monologues (due out November 13th through JoeDog Records), it’s almost as if he’s working in the 3D style of sculptor J. Seward Johnson Jr., who turns famous Impressionist paintings into life-sized tableaux, incorporating not only the original images, but his own fanciful imaginings of what went on beyond the canvas. Mike Cullison. Photo by Greg Roth. Cullison, an Oklahoma native who’s honed his songwriting skills with such royalty as Don Goodman (“Ol’ Red”; “Ring on Her Finger, Time on Her Hands”), Johnny Neel (the Allman Brothers) and Mike Stergis (Crosby, Stills & Nash), describes his style as “roadhouse blues and country roots-rock.” But his influences are as vast as the early rock ‘n’ roll his mom adored and the classic country his dad preferred, and he draws deeply from that well, along with other Americana styles — from Bakersfield to hybrid zyde-Cajun blues — to create a rich aural tapestry as colorful as Johnson’s art. That was the genesis of the Mark Robinson-produced The Barstool Monologues. “Songwriting is storytelling, so it kind of fit for me,” says Cullison, who also has plenty of “behind the song” stories. 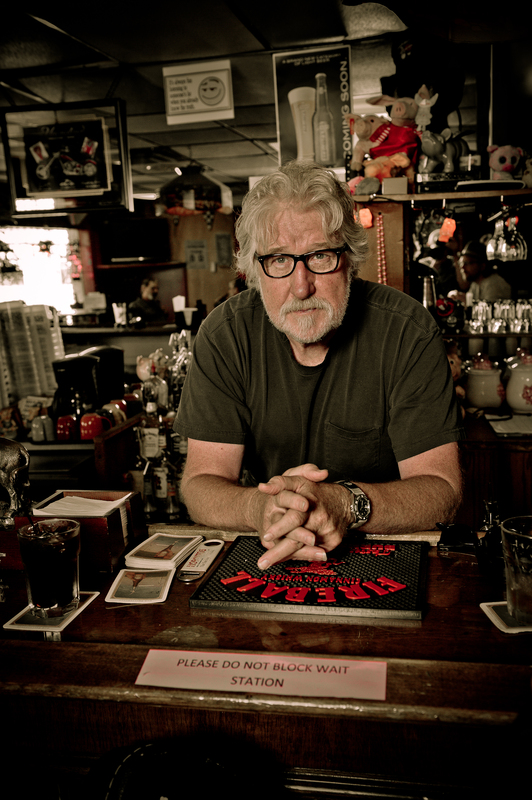 One of his favorites involves the opening tune, “Wish I Didn’t Like Whiskey” — a perfect choice to open an album set in a bar. They’ve all turned out to be very good songs — vignettes, actually, sung and performed by some of Nashville’s finest. If Cullison has his way, The Barstool Monologues might even turn into a musical of some sort, with actors and stage sets. Life-sized, like a Johnson tableau. Only even more real, because we can recognize the characters in Cullison’s stories. They’re our friends, our exes … or maybe even ourselves.